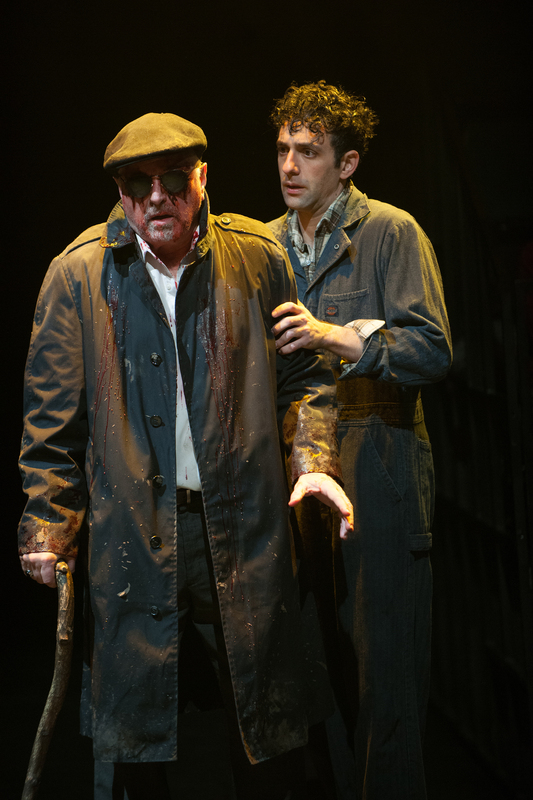 Whether your Lear is Michael Winters or Jack Willis, the experience is unforgettable. In the tiny Thomas Theatre, you are there as kingdoms split, storms rage, and the wheel keeps on turning. Stripped down, yet far-reaching, modern. Sit as close as you can. Theatre can be no more than this. 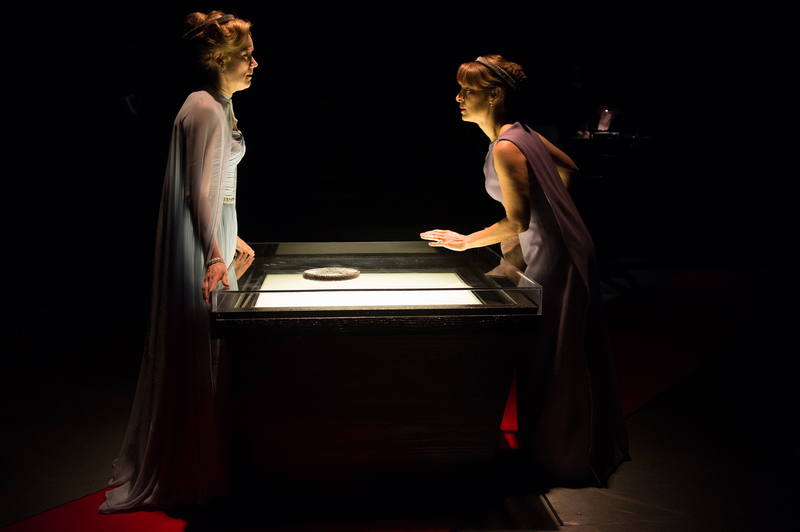 Lear’s daughters, Regan (Robin Goodrin Nordli, left) and Goneril (Vilma Silva) plot against their father. Photo: Jenny Graham. 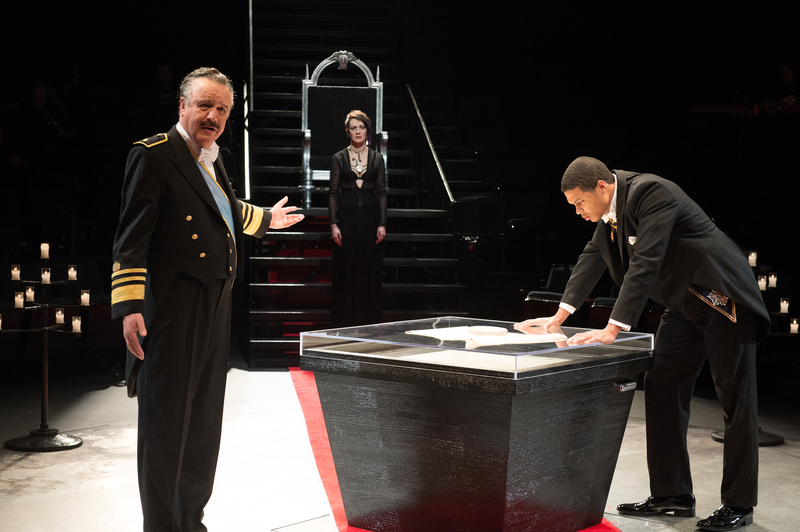 The King of France (Tony DeBruno, left) and the Duke of Burgundy (Ray Fisher) are both suitors to Cordelia (Sofia Jean Gomez), but King Lear has changed the stakes. Photo: Jenny Graham. Edgar (Benjamin Pelteson), in disguise, cares for his blinded father Gloucester (Richard Elmore). Photo: Jenny Graham.